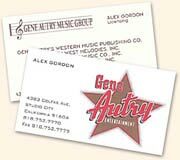 Alex Gordon, longtime associate and friend of Gene Autry, passed away on Tuesday, June 24, 2003. He was 80 years old. 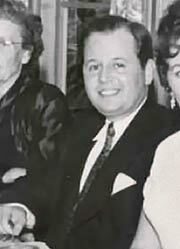 Avid movie buff, film producer, preservationist, film historian, Alex was associated with Gene Autry for over 50 years. During that time he served in the capacity of British fan club president, advance and publicity man, Vice President Flying A Pictures and Director of Licensing for the Gene Autry Music Group, not to mention our walking, talking Gene Autry encyclopedia. 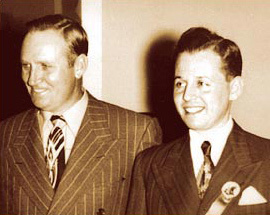 Gene Autry and Alex Gordon at the 1948 Gene Autry Fan Convention in New York. Alex Gordon sits fourth from the right. Read Alex's Memories, a nostalgic article that he wrote after Gene's passing for the fan club newsletter. Alex's actual typewriter pictured below.